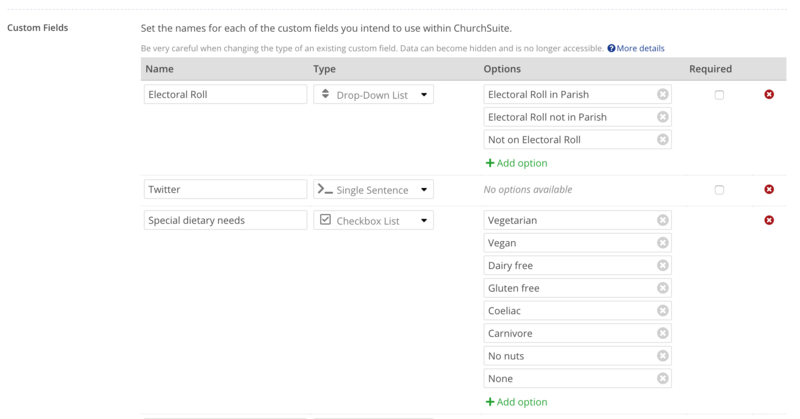 Adding new people to your Address Book and Children module is probably the most basic functionality you'll use in ChurchSuite, so we've made it really easy and intuitive. As well as importing batches of contacts and children using the Import contacts option, you can add people individually, as explained below. How many contacts can I have in my Address Book? The Contacts section of the Address Book is divided into three View sections representing the status of contacts who have given their consent for you to hold their data in this way - active, pending and archived. The Children module, which has its own children address book section, is laid out in exactly the same manner as the adult Address Book. This module is intended to be used for all children and young people whose legal guardians have given their consent for your church to record details of their under 18s children in this way. Your Address Book may well contain different types of contacts, not just those who are attending/giving/serving/participating. The active section of your Address Book, i.e. contacts with an "Active" status, are all those whom your church is touching and tracking, from the crowd to the core, irrespective of their level or engagement or commitment, but that you still consider to be part of your church's ministry and mission. They're all the people whom you wish to communicate with, or whom you still wish to maintain historical or statistical data for. Your ChurchSuite monthly subscription is based on the number of contacts in your Address Book that have this "active" status. You can use tags to distinguish the different types of contacts or children you have active in the module. When people move on from your church, you may decide to delete them from your Address Book entirely if they are unlikely to return - this would certainly be best data protection practice if you no longer have a lawful basis for continuing to process their personal information. You may however prefer to archive contacts for a season, giving you the option to reinstate contacts again in the future, or to delete them after a further period of inactivity. See the related support articles on what happens when a contact is archived or deleted. When people submit their details through ChurchSuite's web-embeddable features (e.g. small group sign-up embed or the newcomer "My Details" embed), the new contacts are first added to the "Pending" section of the module. This is done to protect your "active" Address Book from being spammed and because your ChurchSuite subscription is based on active contacts. Setting a "Pending" contact as "Active" will move them to the "Active" section. Therefore "Pending" is not a reference to a contact's level of engagement or commitment in your church - instead you should use tags to distinguish the engagement or commitment of contacts within the "Active" section of your Address Book e.g. members and non-members. Once set as "Active", contacts and children cannot be set as "Pending" again, only archived or deleted. Pending status contacts must be Set active (see screenshot above) before they can be used for any wider ChurchSuite functionality. For example, only active contacts can be processed through Flows, be assigned to Tags or be included within report results. The Pending section is therefore not the place for non-members! Instead, those whom you determine to be "non-members" should be tagged accordingly in your active Address Book. To add a new contact (or edit, archive or delete an existing) you will need to be a User with Manage Module permissions for the Address Book module. If you only have 'Use' permissions you will only be able to read, report on, or export data. 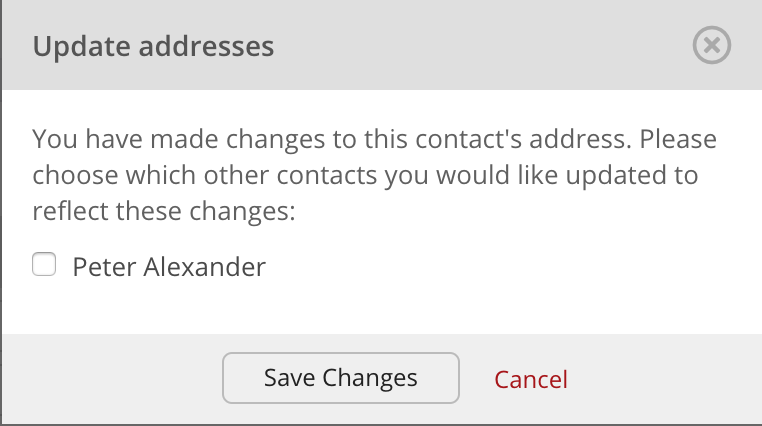 In ChurchSuite, select "Address Book" > "Contacts" and click the Add contact button. You can now fill in the contact information. The minimum information required that constitutes a valid contact is first name and last name. Optional fields (e.g. Title, Address Line 3, etc.) can be enabled/disabled in the Address Book module's options. 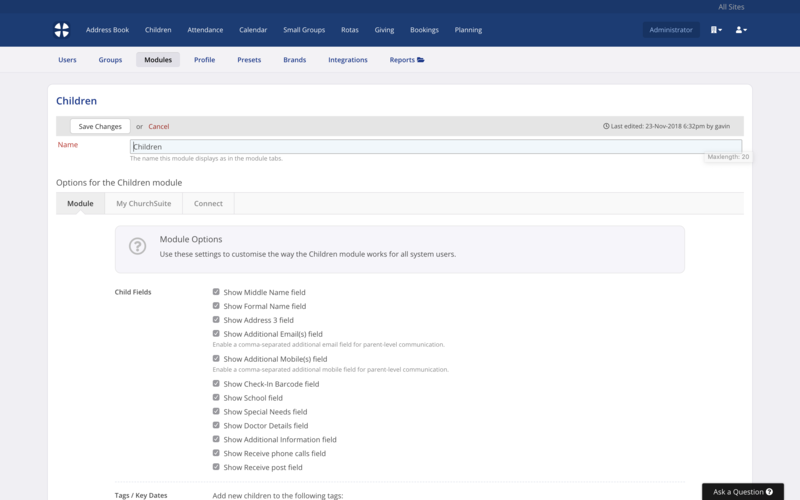 In the module options you can also create Custom Fields. The Address Book module options (accessed by the cog-wheels in the top-right corner of every module) are available to Administrators and Users with 'Manage Module' permissions for the Address Book. Click Save Changes when you've finished entering all the information. When you update the address for a contact who has a linked spouse/partner, you are prompted to also update their address too. 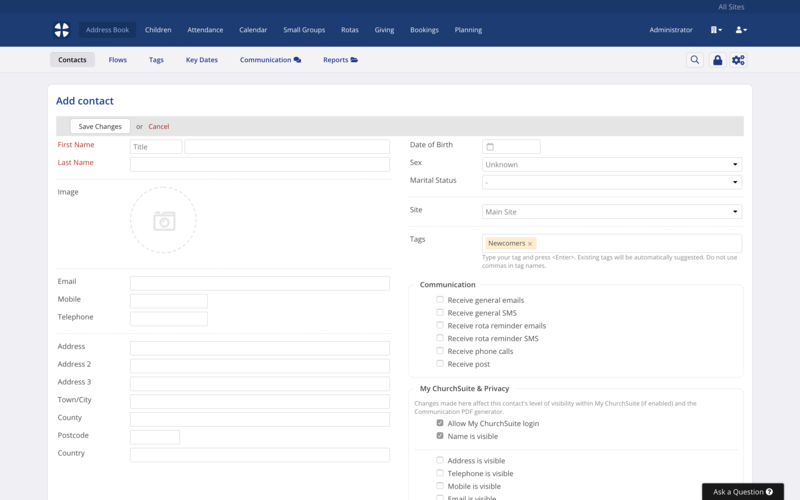 Also, if you have unlinked children in your Children module, you can easily create a parent contact record in the Address Book - ideal if you've just added a visitor child to the Children module from the Visitors report; now you can add the parent contact too - just click the Add parent option on the Parent section of the child's contact page. ChurchSuite retains the adult/child relationship links too. Note: To add a parent contact, you must have their full name and at least one field of contact information, such as an email address, mobile or telephone number. The "Add parent" option is not visible when only the adult/parent's name is known. Note: Disabling optional fields will prevent those fields being used throughout the platform, including any reporting that references those fields and Smart Tag conditions for those fields. 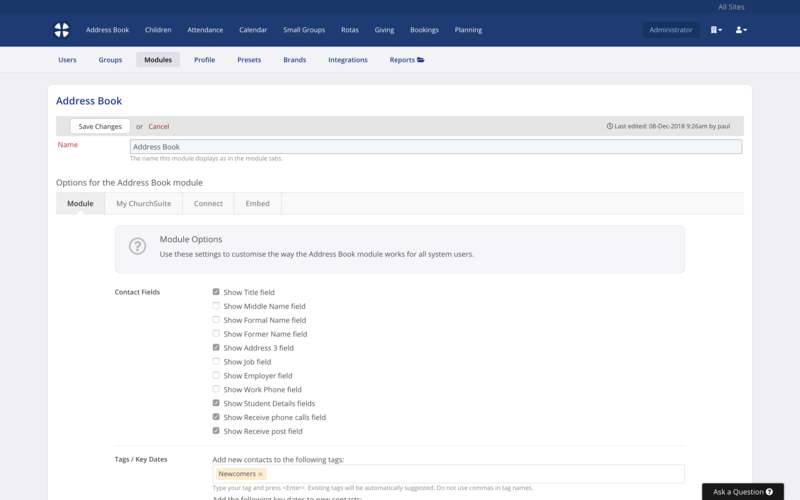 Within the Address Book and Children module, you can also create Custom Fields (also set up in the module settings) - see the related support article for full details about the Custom Fields feature. When adding new people, or preparing your CSV file for importing people into ChurchSuite, you might consider using mixed sentence case formatting rather than UPPERCASE formatting, especially for first name and last name fields - that way, when you are using ChurchSuite communication 'merge fields' your communications will be personalised in the format "Dear James" rather than "Dear JAMES". If you're adding new contacts from the visitor connection cards you get from your various church services, why not have a look at ChurchSuite Connect? 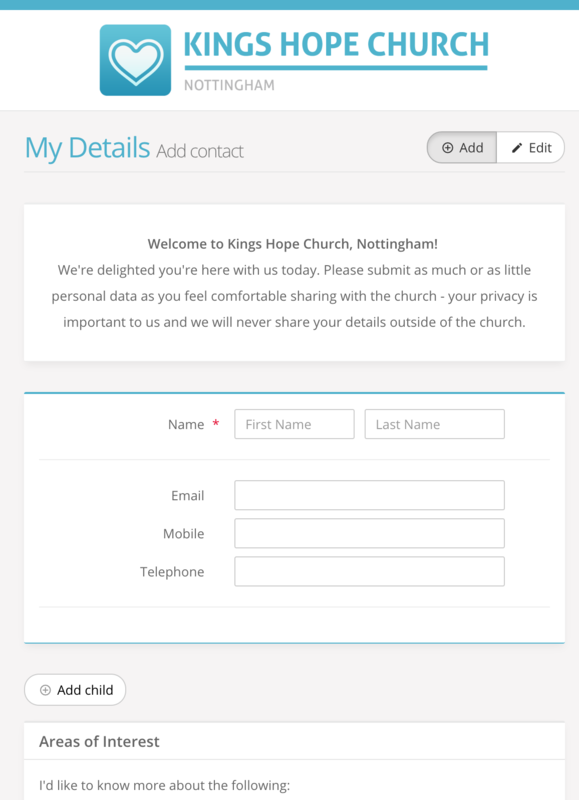 The My Details form in Connect is designed to be used at your church's Information Desk to enable newcomers to submit their contact details and areas of interest. But did you know that it can also be used by admin staff too to enter new contacts to ChurchSuite? The neat thing is that you can submit details for the entire family without having to add multiple contacts one at a time, saving time and adding new contacts into your newcomer workflows more intuitively! See the related support article at the end of this article for more information. How many contacts can you create? Your monthly subscription to ChurchSuite is calculated according to the number of contacts in your Address Book with an active status. There's no limit to the number of contacts you can import or add to your Address Book. Contacts with a 'Pending' or 'Archived' status, and children contacts, don't count towards your subscription calculation. Pricing information can be found here. Your monthly charge will automatically update on your next billing cycle when your Address Book grows into the next pricing tier - we'll send your billing contact a notification when you're approaching the upper limit of a pricing tier.